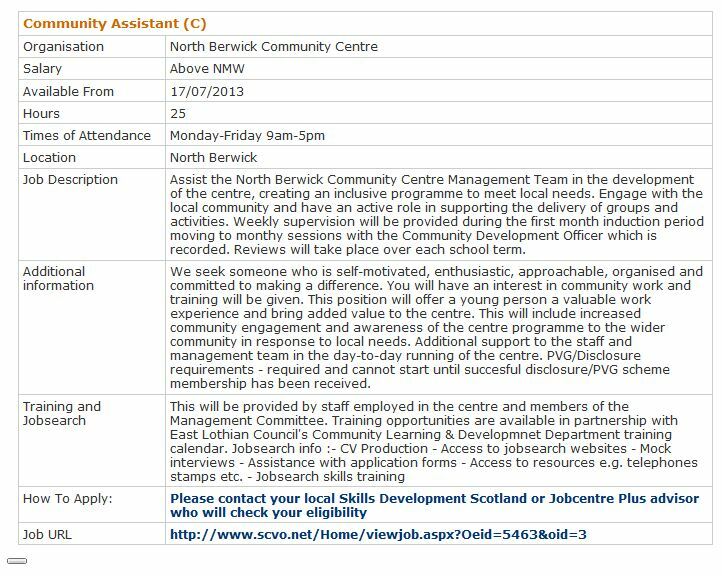 To assist the community centre management team in the development of the North Berwick Community Centre, creating an inclusive programme to meet a diverse range of needs. To engage with the local community in relation to the on-going development of the Centre and to have an active role supporting the delivery of groups and activities. This entry was posted in Professional and tagged Employment and Training on 31 July, 2013 by Mick Burns.